In this modern world, everything is changed online for their day to day needs. Nowadays hotels and restaurant business are one of the top business in Online. It is right time to start your own business in food ordering system by using our Foodspotting Clone Script and earn more money from the script and to see a universe of the business. And we developed the Vouchercloud Clone Script to help the entrepreneur to a start business like foodpanda and Swiggy. 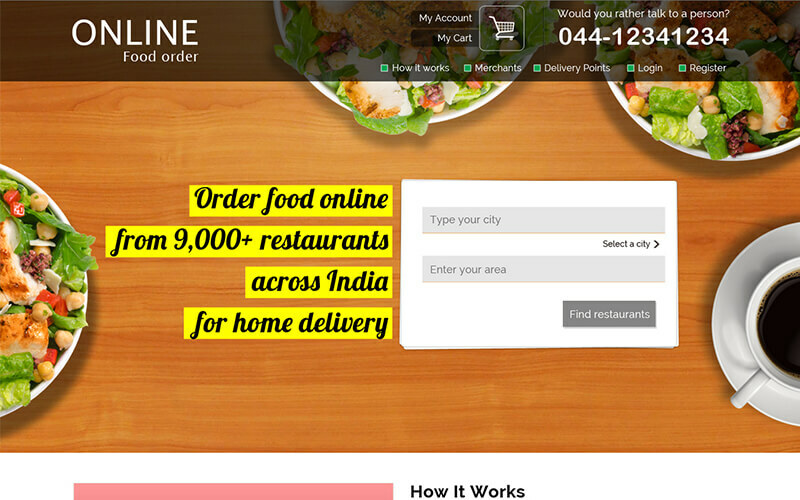 In our Foodspotting Script People can order their food online from any location or the nearby location. All you need is to pick your favorite restaurant & favorite food and place the order. After that, it will be redirected to the payment process for the transaction. The user can track the order using order id and the payment process in our Food ordering Script will be safe and secure. Our script is designed in such a way to prevent from unauthorized attack and preventing the threat. The Restaurant owner can add an unlimited number of products with description, title, images and more in the relevant category.The Owner can add unlimited food to each category. Our foodspotting clone has a user-friendly dashboard for the customer, Business Owner, Merchant, and admin. The features of our Hotukdeals Script are the advanced search option, Restaurant management, order management, cart, favorite management, Track order, Newsletter, CMS page, advanced payment gateway, store management, user management, Social media integration, Merchant dashboard and more on. Hotukdeals Clone Script is easy to customize and clients can able to make any changes in later or you can also add any required specification features at the development phase. We provide 1-year technical support, 6 months free update of the source code and after purchasing the script the entire code will be delivered within 24 hours. We are the top web design and development company since 2005, we offering different types of readymade PHP Clone Script to the clients. Since we have more than 15 years of experience, we have deep knowledge of software products and web service to meet the business goal of the customer and we are the right place to deliver the best food delivery script to the clients. Perfect! I bought this clone for my business recommended for food startup. You guys great. Awesome support from PHP Script Mall end of my project. Awesome Feature Guys got this Food Spotting Clone.